Hey! Tired of #whitewashedout films? Don't fret, there are films that are made by, star or are about Asian Americans. And many of them are in theaters now or available via streaming. The reality is, there are thousands of independent films out there that don't receive big reviews, a large marketing budget, or big-times stars behind them. While the cost of making an independent film has gone down, filmmakers have to push to let folks know that these titles even exist. One advantage in today's media world is that even though many films can't compete in the immediate marketplace of Hollywood blockbusters, they may have a longer life span via streaming, Netflix, VOD and independent distribution. Entities like the Center for Asian American Media, where I work as the Content Manager, and Angry Asian Man, draw attention to Asian American films and filmmakers. CAAM hosts the nation's largest showcase of Asian and Asian American films at our annual CAAMFest. There are also about a dozen more Asian American film festivals across the country. Many of the films listed below either debuted at our festival or were partially funded by CAAM. Keep up with Asian American films, filmmakers and mediamakers by attending one of many Asian American film festivals is one way to keep tabs on what's new. Come out to CAAMFest in the beautiful San Francisco Bay Area. Also, follow us on Facebook and Twitter for news about Asian Americans in media. As for TV shows, we're watching those too. Fall TV season is about to begin, including these shows with significant Asian American casts: Agents of S.H.I.E.L.D., Dr. Ken, Fresh Off the Boat, Crazy Ex-Girlfriend, Quantico and Elementary. Also, the Justin Lin-directed show Scorpion is back for another season. Two shows currently on HBO are The Night Of and Ballers, starring Riz Ahmed and The Rock, respectively. There's also mixed-race Blasian star Merle Dandridge on OWN's Greenleaf. Here's to sharing more of our voices and stories. And, please let us know if we missed any. Amirpour's first feature film debuted at Sundance and is now available on Netflix. It is described as an Iranian-vampire-meets-spaghetti-Western film. Zhao made this while she was still a student in film school. It takes place on the Pine Ridge Reservation, with a majority of locally-cast, first-time actors. This film was selected as part of Cannes' Fortnight program. This film received a special jury prize at Sundance. It's a sci-fi flick starring Jacqueline Kim as a mother torn between her wishes for her daughter's future and their relationship in the present. Ken Jeong makes a cameo in a more serious role compared to his usual comedic characters. Tadjedin is a Persian American director. It is a romantic drama, starring Kiera Knightly. In this documentary, Patel follows her brother as he seeks love matches. The brother is Ravi Patel, who is an actor and has appeared in Master of None alongside Aziz Ansari. Academy Award-winning documentary director Mock takes a look at Anita Hill today, after she was pushed into the limelight in 1991 during the Clarence Thomas controversy. We get to know the fuller person behind the headlines. Mock won an Oscar for Maya Lin: A Strong Clear Vision. This is a horror flick starring Michelle Krusiec. It is produced by Mynette Louie of Gamechanger Films; both Louie and Kusama were recently invited to become members of the Academy after the #OscarsSoWhite fallout. This action-packed documentary about street volleyball in Chinatown, U.S.A., is made by sports journalist Liang. A coming-of-age drama about teenage girls, starring the likes of Kal Penn, Willa Cuthrell and Hudson Yang. Marilyn Fu is the writer of the screenplay. A narrative film starring Jamie Chung and her real-life husband Bryan Greenberg that is a romantic drama taking place in Hong Kong. 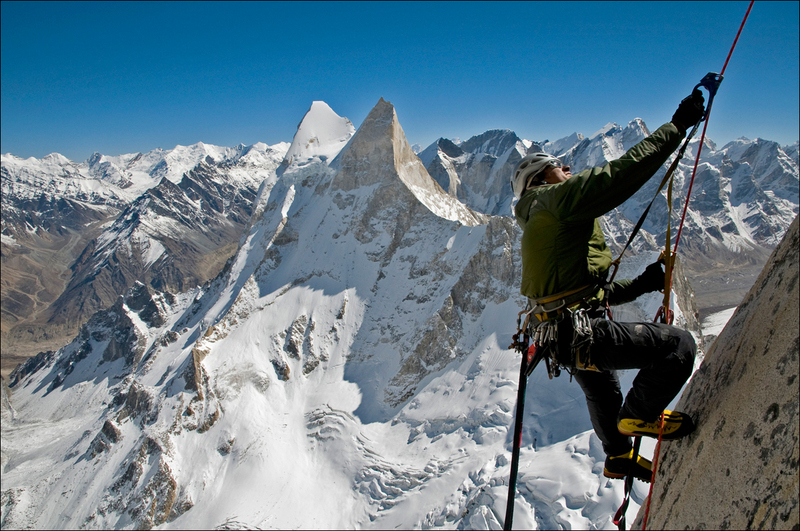 Incredible nature photographer and climber Chin, with his filmmaker wife, made this doc about an ascent up the Indian Himalayas. The documentary received the U.S. Documentary Audience Award at Sundance. A narrative drama starring Aaron Yoo and Leonardo Lam, the film focuses on the drama that ensues between Korean American cousins. Eng follows his father back to China after his father files for bankruptcy, revealing an intimate family portrait. A comedic feature film and festival favorite focuses on the achievement-driven Lily (Tiya Sircar), who decides to join a beauty pageant after her boyfriend dumps her. Also co-starring Hannah Simone, of New Girl fame, who is also an Executive Producer of the film. This heartbreaking yet hopeful documentary is an eye-opening view into the life of shopping cart recyclers in West Oakland, CA, humanizing some of the most invisible members of society. Now that Jeremy Lin is back playing for the NBA in the mid-Atlantic region, revisit the glory days of Linsanity. This Sundance Award-winning film is a romantic drama that takes place in war-torn Kashmir. Syeed is also the lead filmmaker of CAAM's Muslim Youth Voices Project. We know about President Obama eating a bowl of bún chả Hanoi-style thanks to Anthony Bourdain; here, we have some films made by Asian Americans about Asian food. 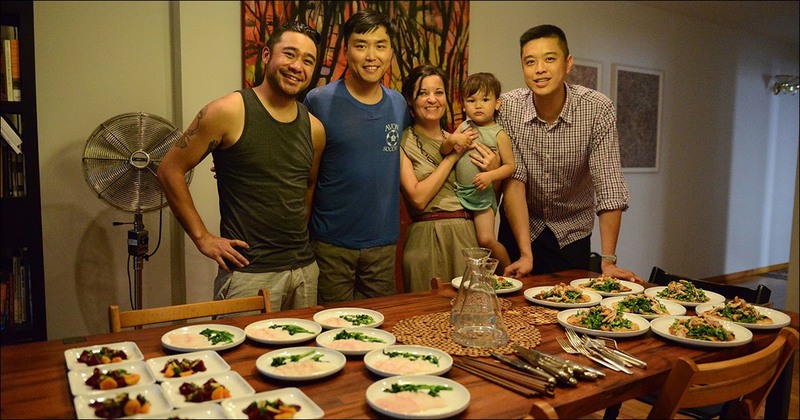 Off the Menu is a road trip into the kitchens, factories, temples and farms of Asian Pacific America that explores how our relationship to food reflects our evolving community. This documentary takes a deeper look at the making of Japan's fermented rice wine. It premieres on PBS' award-winning series, POV, on September 5 and is co-presented by CAAM. Speaking of Bourdain, Shirai previously worked as a cinematographer on Bourdain's No Reservations. There's enough room for more than one film about sake! This one comes out in select theaters on August 19. The doc will also be available on DVD the same day. 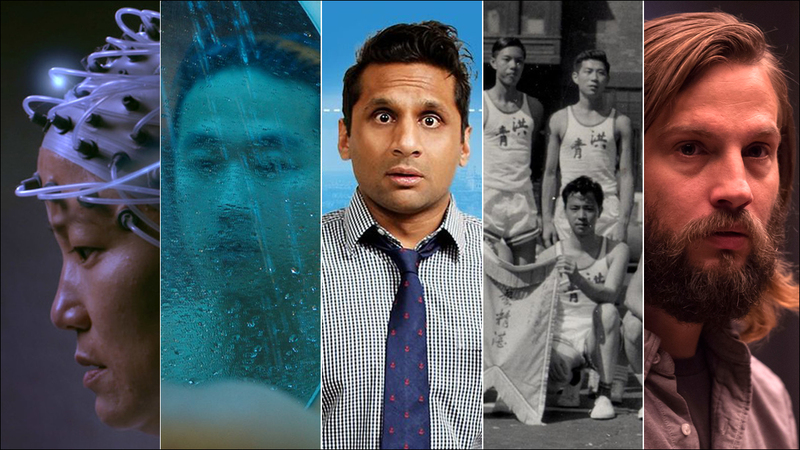 If you're a Comcast subscriber, CAAM presents Asian American films on Cinema Asian America every month, via On Demand. This month's titles are all about Asian Americans in politics or about civic engagement. Read more about these films here and here. 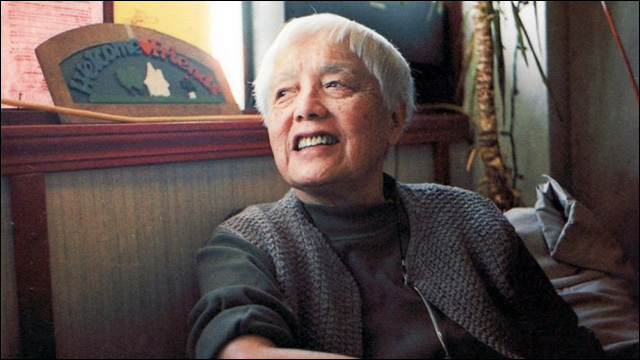 Lee, who also made the food film, Off the Menu: Asian America, mentioned above, spent 11, on and off, making the powerful documentary about Detroit-based Chinese American activist Grace Lee Boggs. This mockumentary follows an Iowa housewife who attends political rallies leading up to the 2012 Iowa caucuses as she seeks answers from GOP candidates about healthcare and unemployment. From the director of A Village Called Versailles comes another Louisiana-based documentary, this time focusing on a Vietnamese American Republican candidate Joseph Cao. Follow Cao as he attempts to reach his political dreams. This profile on the first Asian American Congresswoman, Patsy Mink of Hawaii, is a hopeful tribute to what democracy should look like. Yeah, there are actual Asian American films in theaters right now! In fact, there are Asian American films playing in theaters year-round. A much-buzzed about film and Sundance favorite, this narrative follows the struggles of a Korean American young man as he explores his sexuality amid L.A.'s Korean spas. A documentary looks at a sexual assault case of young schoolchildren in Hainan, China. The film heads to PBS' POV on October 17. You've probably heard of this one, but this actual #StarringJohnCho film is made by Lin, who got his start in film by making Asian American indie narratives, many of which debuted at CAAMFest. List is compiled by CAAM staff members. Special shout out to Stephen Gong, Lin Kung, Masashi Niwano, Ashlyn Perri and Lisa Yadao. Momo Chang is the Content Manager at the Center for Asian American Media. She is a contributing editor for Hyphen, and formerly covered Asian American communities for The Oakland Tribune.